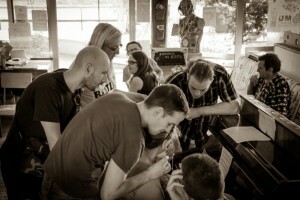 Home / Chorus / You can help spread Barbershop in France!Become A Member! 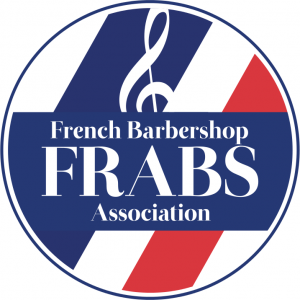 Our friends from the French Association of Barbershop Singers (FRABS!) have sent an update… and a simple request! Since we created the association (only one year ago), everything went so fast! We already have a couple of quartets going, a chorus project on the way in Paris, and some regular events planned. We meet as many Barbershoppers travelling to France as possible, and we definitely have tons of ideas to help promote Barbershop in France! In addition to this, we discover a bit more everyday how AWESOME the Barbershop community is, wherever it is around the globe. People are so nice, so willing to help for everything… It feels like we entered an amazing secret brotherhood with members hidden everywhere! We know that there are many English-speaking people living in France, especially in the area of Paris: Americans, British, and more. We bet that most of them know about Barbershop in some way (even if they don’t actually sing it themselves), because it is way more common in your culture than in ours. But these people might not know about FRABS yet.